A fictional radio program that tells the story of two young employees of a fantasy supermarket called Troll Foods. The story follows the two girls, Milly and Florence, on their adventures together in store – whether dealing with spells going wrong, difficult customers or the ever elusive but very alarming ‘management’. The focus is on the two girls’ friendship and the way they overcome problems (both physical and emotional) together, usually joined by some wacky side characters along the way. Troll Foods is a Summer Season Radio Drama (Comedy), aired on SYN 90.7FM @ 4PM on Sundays (currently off air), during Jan 2017. Like us on Facebook! Catch up with podcasted episodes on iTunes and Omny on Apple phones or the Podbean app on Android phones! 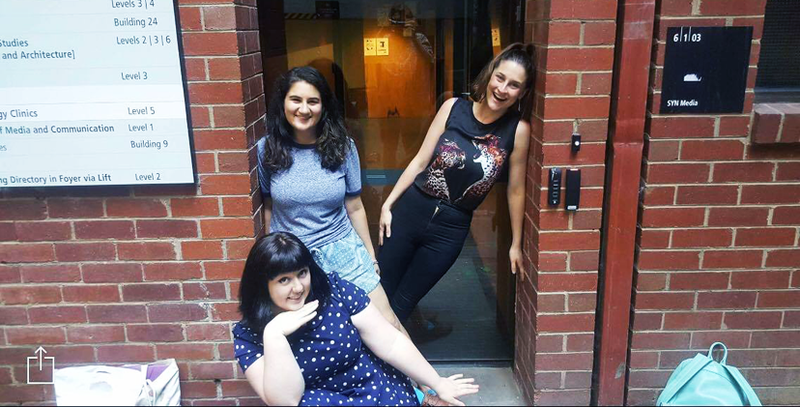 Show Creators: Gill Langford, Merryn McDonnell and Evrim Şen. The Producers of Troll Foods – Gill, Evrim & Merryn!